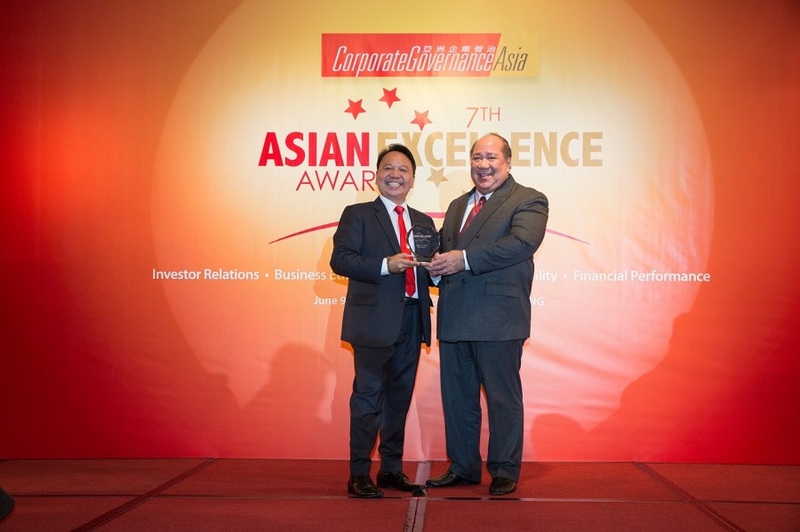 EEI Corporation's President and CEO Roberto Jose L. Castillo was awarded as one of Asia's Best CEO (Investor Relations) during the Corporate Governance Asia Recognition Awards held last June 9, 2017 in Hong Kong. EEI Corporation is part of the Yuchengco Group of Companies and is a member of the Good Governance Advocates and Practitioners of the Philippines (GGAPP), an organization committed to the promotion and furtherance of good governance principles and practices. Photo shows EEI President and CEO Roberto Jose L. Castillo receiving the award from Aldrin Monsod of Corporate Governance Asia, a leading journal which promotes corporate governance and leads the way in promoting best corporate practices within the region.